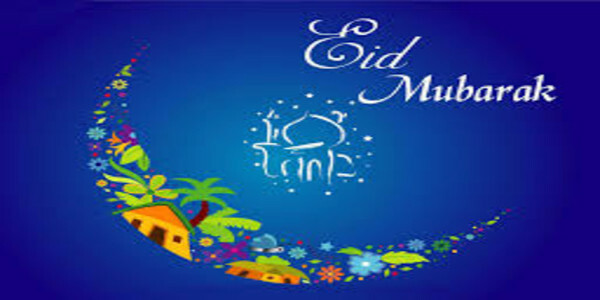 May ALLAH, The Exalted, Bestow upon you all, HIS Blessings of EID-UL-FITR. May ALLAH, The Merciful, Reward you all, Most Graciously for all your Righteous Intentions and Achievements of Ramadan. May ALLAH, The Appreciative, Accept all your Ibadah and May HE Grant you Many, Many, Many more Ramadans to Witness, to Observe and to Celebrate, Righteously. On The Auspicious Day of EID, May ALLAH, The Exalted, Be Merciful To Mankind, Spare us from all the Calamities and Relieve the Sufferings of all those enduring Disease, Starvation, Aggression and Oppression. May ALLAH, The Merciful, Illuminate for HIS Believing Slaves, with HIS Light, The Path To HIS Gardens. AND May HE Ease The Journey To His Gardens for all those who strive for HIS Pleasure, ceaselessly, unremittingly.